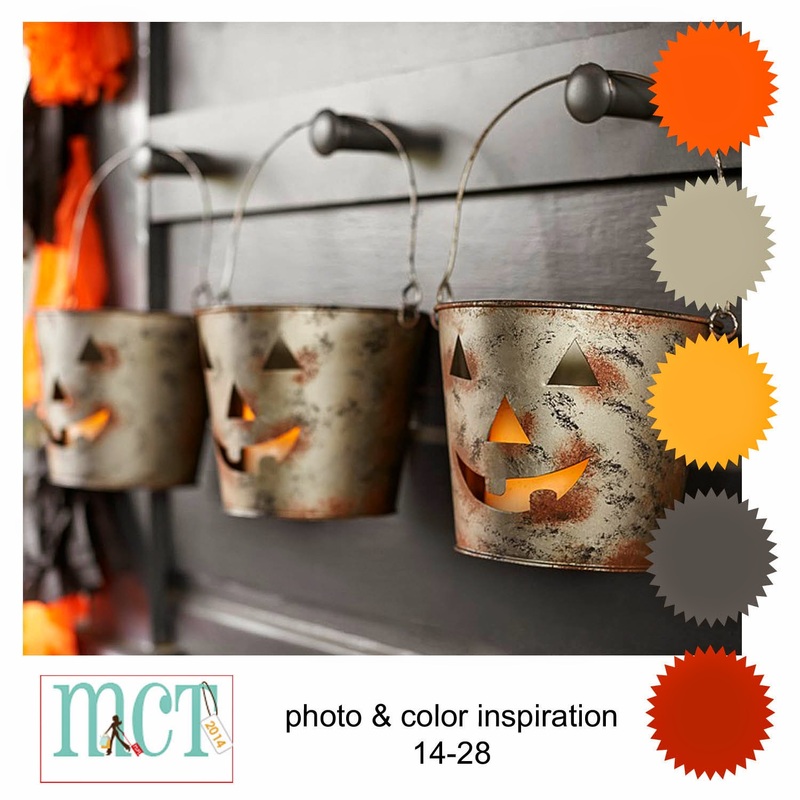 We're having another designer challenge at My Creative Time, using the photo below for color/theme inspiration! This week I was putting together a little care package to send off to my son at college, and since it included a gift card, I decided to make him a cute gift card holder using the colors and the theme! 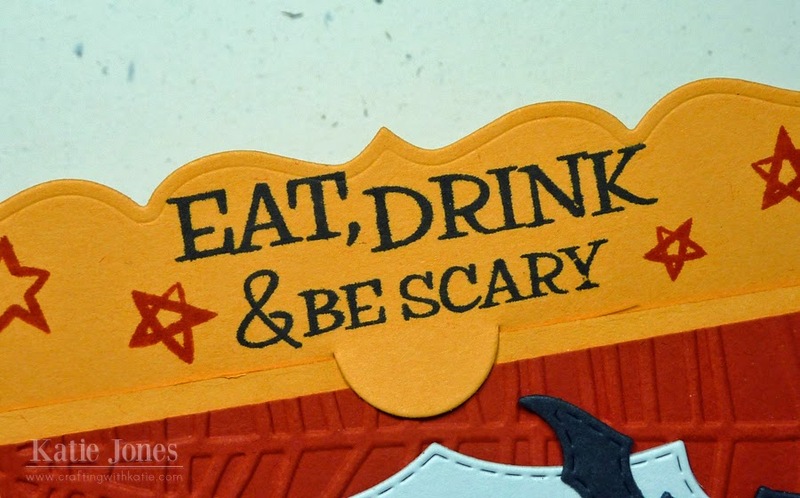 Since the gift card is for a restaurant, I thought this sentiment from the new Trick or Treat stamp set would be just perfect! I also added some stars from the same set. 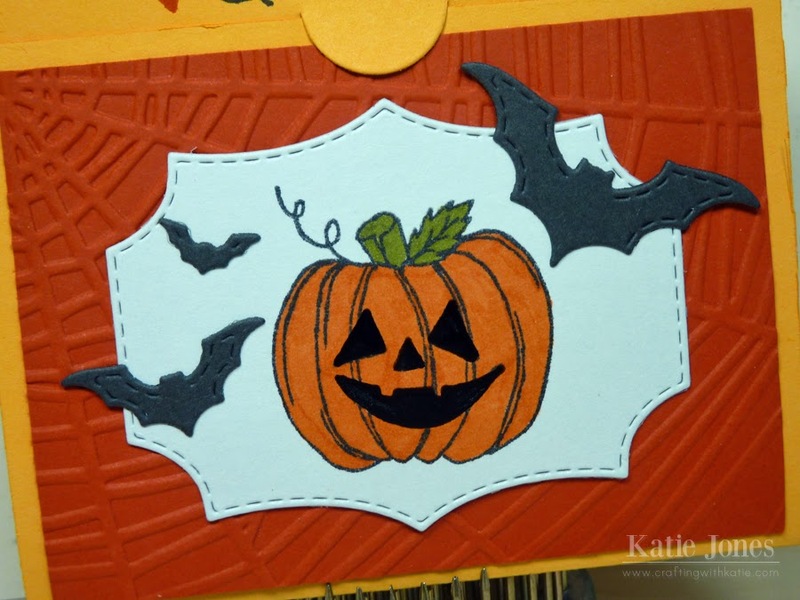 I embossed the background with the Cuttlebug Spiderweb embossing folder. That cute gray frame was made with one of the dies from Stitched Rectangular Frame Dies & More. Don't you love that jack o' lantern? He's from the Treats for My Sweet stamp set. I colored him with some Copic markers. Then I added some bats made with the Wicked Fun Dies. I added one last die from Wicked Fun Dies on the inside. Couldn't resist that spider! 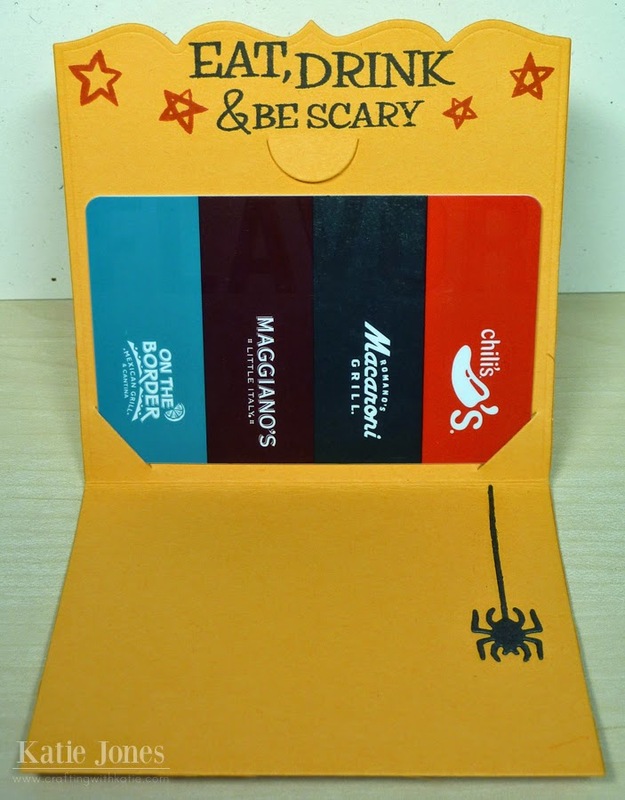 What Super Spooktacular & Wicked awesome gift!! Your idea for your gift card holder is so awesome I love your embossing it turned out so cool. I'm so going to try this! You totally did such funtastic things with Miss Emma's goodies...gosh put your funtab ideas with anything Miss Emma's and it always an out of the park home run!! Fabulous! He will love it! Katie ~ Oh this is just PERFECT! 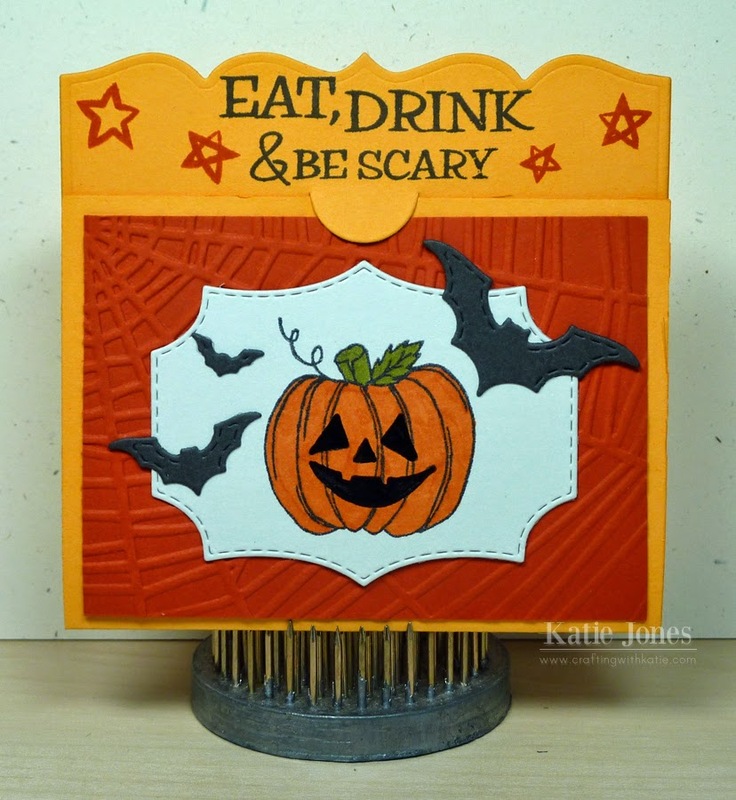 I love the idea that the pumpkin on that new die!!! Cute idea with the spider inside! Whomever receives this is going to totally enjoy it!!!! Fab project as always! Sweet job on your gift card holder. This card is sure to make him smile...I bet he loves his cards from Mom! That is a perfect sentiment for a food card. Love the spider inside too.